Hairy New Year from 101.9 The Keg! Win tickets to Hairball at 101.9 The Keg’s Facebook page on New Year’s Day! Starting at Midnight on January 1 you will have 24 hours to comment on our contest post at Facebook.com/1019TheKeg. 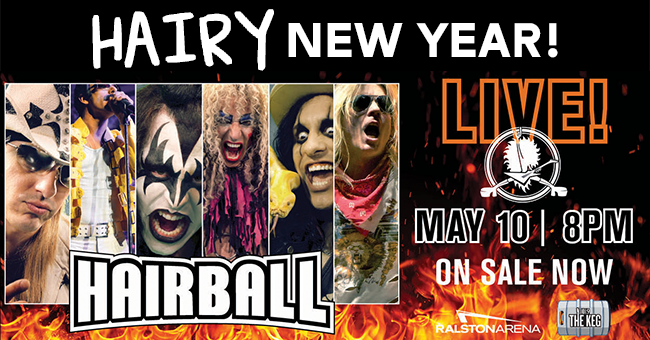 10 Lucky Winners will be randomly selected to win a pair of tickets to see Hairball Fri, May 10 @ Ralston Arena!